Saverio's investment strategy has been honed and crafted over a quarter century in the industry. Prior to becoming a financial advisor in 1993, Saverio managed a real estate portfolio valued in excess of $30 million - and that's in 1990 dollars! 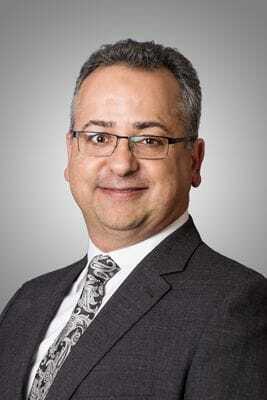 Today Saverio co-owns one of the biggest Manulife Securities Incorporated branches in Canada. He is a perennial winner of the President's Circle Award as well as the Manulife Securities Incorporated Circle of Excellence Award. Saverio accesses a vast array of quality investment and insurance products from hundreds of strong companies. 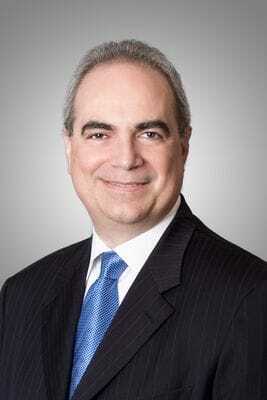 He is an independent Senior Financial Advisor and Insurance Advisor. Being independent means that Saverio is not tied to any one company's products he is free to shop the entire industry to find the best solutions for his clients. As a founding member and past president of BNI Leading Edge, Saverio has built up a formidable network of knowledgeable professionals including legal, tax & accounting specialists each of them experts in their respective field. Along with Maria, his wife of twenty years, Saverio is very active in his church community; he has worked tirelessly with the MS Society and the Heart House Hospice Bring It Home Capital Campaign. Saverio also supports numerous charitable organizations including Big Brothers Big Sisters of Peel and WaterAid Canada. Executive Assistant, Manulife Securities Incorporated & Manulife Securities Insurance Inc.
Carmie has been an integral part of Saverio's practice since 2000. She possesses an extensive knowledge of the inner workings of the investment and insurance industries. 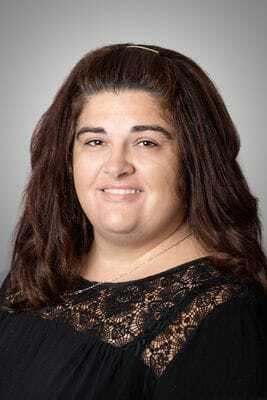 Carmie oversees all administrative and customer service functions of the practice. Her ongoing commitment to outstanding customer service is reflected in her daily interaction with our clients. Carmie's community involvement includes volunteering with Peel CAS, Trillium Hospital and Child Find. She coaches her daughter's soccer team and enjoys reading in her spare time. Marketing Coordinator, Manulife Securities Incorporated & Manulife Securities Insurance Inc.
Terry's background is in broadcast journalism - he brings 10 years' experience in broadcasting, marketing and promotions to the practice. He is responsible for client communications and insurance inquiries. Terry also produces all on-line content and in-person presentations. Terry enjoys traveling and gardening in his spare time. He has coached and served as an executive member with his two sons' hockey, baseball & curling leagues. Wealth is created over time. Our long-term commitment to our clients is to help them build and protect that wealth. Trust, integrity and outstanding customer service is our focus in everything we do. Manulife Securities Incorporated is one of Canada's foremost independent investment dealers. Our firm commitment to service excellence provides our clients with options tailored to fit their financial goals. Manulife Securities Incorporated is a Member of the Investment Industry Regulatory Organization of Canada (formerly the Investment Dealers Association of Canada) and the Canadian Investor Protection Fund (CIPF). Whatever your stage in life, Manulife Securities Insurance Inc.* can help you feel financially assured with a variety of insurance products that meets your specific needs - whether it's family protection, business continuity, estate preservation or investment solutions. Manulife Financial* is one of the most dynamic and progressive financial services companies in the world. First incorporated back in 1887 as an insurance company, Manulife has grown into a global financial services organization serving millions of customers in 19 countries and territories worldwide. Through our vast network of independent financial advisors, Manulife offers a wide range of financial protection products and wealth management services. Whatever your stage in life or your financial priorities, Manulife has an insurance, investment or banking solution to meet your needs. *Manulife Securities is an indirectly, wholly¬-owned subsidiary of Manulife Financial Corporation (MFC), a leading financial services group with principal operations in Asia, Canada and the United States. MFC is a publicly traded company with global headquarters in Canada. MFC owns The Manufacturers Life Insurance Company (MLI). MLI owns Manulife Securities and Manulife Securities Insurance Inc., an insurance distribution organization, operating as a national account agency.